This story begins in the summer of 2011. The Mets were far out of the playoff race. GM Sandy Alderson decided that the time had come to trade Carlos Beltran, who was having an excellent season. In return the Mets got a young stud named Zack Wheeler. In 2009, the Giants picked Wheeler with the sixth overall selection in the draft. He was projected to be a star and the Mets felt it was time to rebuild. The assumption was that the 34 year old Beltran had little left in the tank and it was best to trade him while his value was high. The Giants projected Wheeler would be a star. A month before this famous trade was the 2011 draft. While much was written about the Mets first rounds picks Brandon Nimmo and Michael Fulmer, a little known pitcher was drafted in the 34th round. His name was Seth Lugo. Like most picks who are not taken with the first 1,000 selections, Lugo was not even an afterthought. Fast forward to 2013. Zack Wheeler made his MLB debut at age 23. He pitched well in his first start and went on to be the impressive pitcher everyone expected him to be. By the time his rookie year was over he was 7-5 with a 3.42 ERA. His WHIP and FIP were a bit high but the talent is clearly there. 2013 was a year of real optimism…. for those who ignored the Mets final record. Matt Harvey started the all star game. The Mets acquired Noah Syndergaard prior to the season for R.A. Dickey. It turned out to be a brilliant move by Alderson. Rafael Montero was dominating the upper levels of the minor leagues. Jeremy Hefner was pitching well and the Mets thought that they had the pitching rotation of the future. Lugo pitching for the Brooklyn Cyclones in 2013. 2013 was also a big year for Seth Lugo. After missing all of 2012 with a back surgery, he made a full recovery. At the A level he put up a 3.39 ERA and 1.131 WHIP. Due to his success, Lugo was quietly promoted to the A+ level. However, most attention was given to his teammate Steven Matz who was the star pitcher on the team. After a strong 2014 campaign, Wheeler hoped to achieve star status in 2015. His FIP and WHIP improved from his rookie season. Harvey was back from the DL and things were looking good heading into camp. Sadly, disaster struck. In mid-March, Wheeler was diagnosed with a torn ulnar collateral ligament and underwent Tommy John surgery. Many questions were raised. How did the Mets not pick up on this all winter? Did Wheeler know something was wrong at the end of 2014? Did the injury occur in the offseason? Regardless of why, this was an enormous blow for the righty. He would miss all of 2015 and much of 2016. Sure enough, setbacks in 2016 prevented him from pitching a single game. At this point the paths of Lugo and Wheeler crossed. Once it became clear in late 2016 that Wheeler wasn’t going to return, Lugo began emerging as the unsung hero of the Mets. The rookie went 5-2 with an ERA of 2.67, a WHIP of 1.094 and a 1.7 WAR in limited action. Without Lugo’s contribution the Mets would likely not have made the 2016 postseason. Lugo pitched so well that he was the star pitcher for the Puerto Rican team in the 2017 WBC. Lugo pitching in the 2017 WBC championship game. Finally, 2017 was the season that both had the potential to pitch in the same rotation. As is well known, injuries had their way with the 2017 Mets. Lugo injured his arm in the WBC and didn’t pitch until June. Wheeler got injured in July and didn’t pitch the rest of the season. The two overlapped for roughly a month. While neither will have a ballad written about his glorious season, Lugo clearly was the better pitcher in every major category. If this wasn’t enough, just look at their spring training stats. Lugo had an ERA under three and a WHIP under one. Wheeler got shelled with an 8.10 ERA and a WHIP of 2.400 which are atrocious. Most shockingly, opposing batters hit .431 against Wheeler. When you look at the numbers objectively Lugo deserves to be in the big leagues and Wheeler needs time in AAA to sort things out. Does Wheeler deserve to be in this picture? It makes perfect sense for Mets fans to have an emotional attachment to Wheeler. He was proclaimed to be one of the five aces. Experts projected him to be a front line starter with Harvey and Syndergaard. This hasn’t panned out so far. In addition, Wheeler’s failures makes us think that maybe trading Carlos Beltran was a mistake. At the time, conventional wisdom was that Beltran would be washed up after leaving the Mets. This turned out to be false. In 6.5 seasons since the trade Beltran had very good numbers. He averaged 22 homers and 74 RBI’s. His batting average was .272 and OPS was .796 before retiring after 2017. In addition Beltran made three all star teams, went to the postseason 5 including two trips to the fall classic. This past October he won the World Series. Some claim that Beltran was only able to do this as a DH. This is inaccurate. Beltran only became a regular DH 5 years after the trade. Wheeler on the other hand has only played in 66 major league games. Perhaps if the Mets finances would have allowed, Beltran would have spent a few more seasons in Queens. Maybe the 2012-2014 period would have been better. Beltran started for the NL in Citi Field during the 2013 all star game… but not as a Met. Let’s face it. Lugo is currently the better pitcher. The numbers support that fact. In a long season a lot can happen. 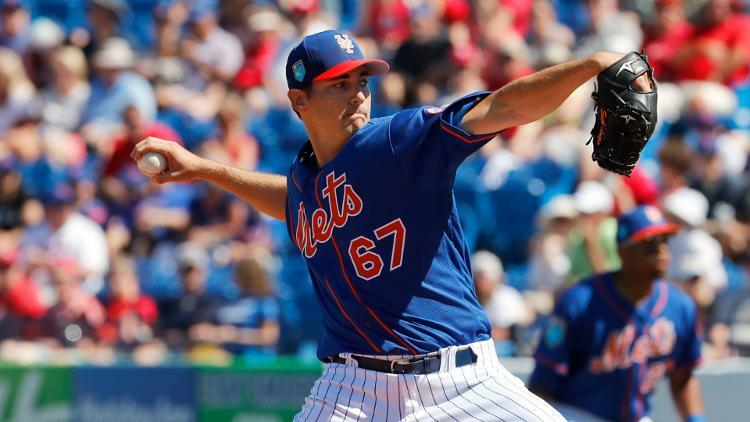 However, as of now Mickey Callaway is making the right choice by putting Lugo in the rotation.